A couple of weeks ago I looked out the window and, though it was a hot day, I noticed that the light had the look of fall. It happens so suddenly—that subtle change in the quality and angle of the light, but it’s unmistakable. 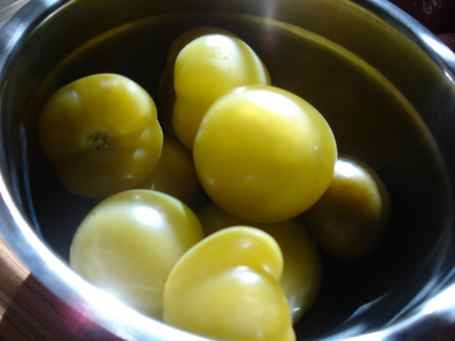 So then I started to think about warming stews and soups, which led me to thinking about what’s in the market, which led me to chiles, then tomatillos, and finally, pork. 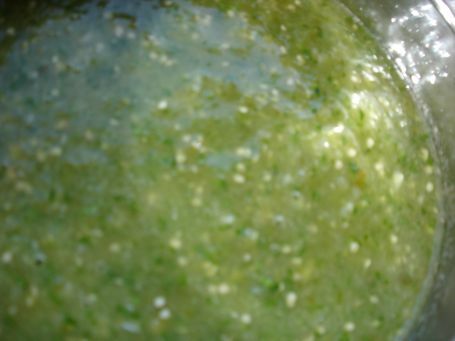 It was clearly time for Chile Verde. It’s one of my favorite dishes on the planet and one we used to make all the time at The Jimtown Store. In fact, I still use the recipe from The Jimtown Store Cookbook. It’s rich and porky, tender and savory, warming and deeply flavorful and just spicy enough to heat your belly. It’s true comfort food. 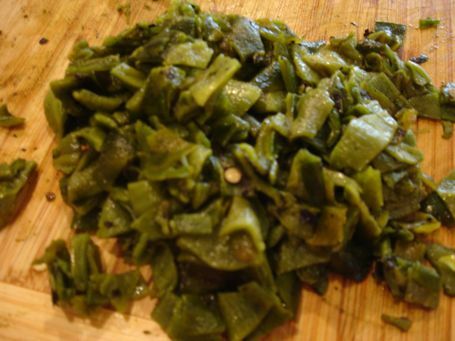 I like to serve it with Lupe’s Red Rice (from the Jimtown book) and some simply cooked beans and homemade tortillas. There are several steps involved in the making but none are hard and the actual cooking is effortless. It can be done in a low oven, on the stove in a heavy pot, or in the crockpot. Plus the leftovers get better every day and are so easily reheated for a quick lunch. Speaking of Jimtown—I’ll be there this Sunday, the 19, from 2-4 with bites from DIY Delicious and I’ll be signing books and answering questions. Would love to see you there. 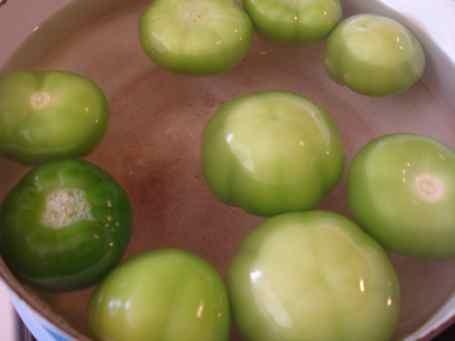 Meanwhile, bring water to a boil about a pound of husked tomatillos for 15 minutes until they turn a dull green. Cool. 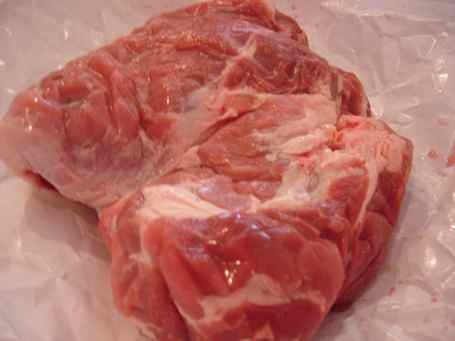 Cut up about 3 pounds of boneless pork shoulder (this one from my new friendly neighborhood butcher shop run by Marin Sun Farms) into stew-like pieces, removing some, but not all of the fat. 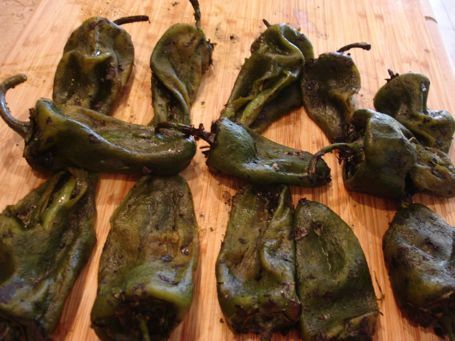 Peel the poblanos, seed, destem and dice. 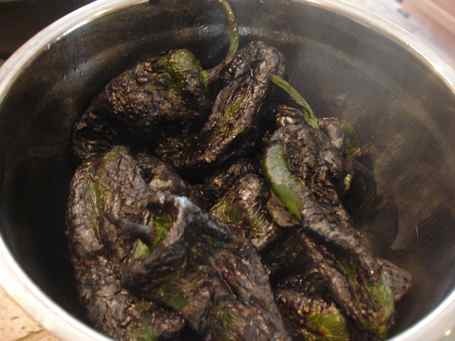 This entry was posted in Latin American, from the market, hearty and tagged chile verde, Events, Jimtown Store, Mexican food, pork stew, Stews. Bookmark the permalink. Post a comment or leave a trackback: Trackback URL.